Who doesn’t love Duplos? Better yet, what kindergartner can resist an awesome Duplo consonant blends activity? My daughter went nuts for this activity once I reassured her the clean up was minimal- but we will get into those details soon. J, is currently working on mastering those pesky consonant blends and I love how determined she is to get them. In order to help her, I put together a fun activity while we were playing with her blocks. Just in case you have no idea what Duplos are, it is simply the larger version to LEGOs. 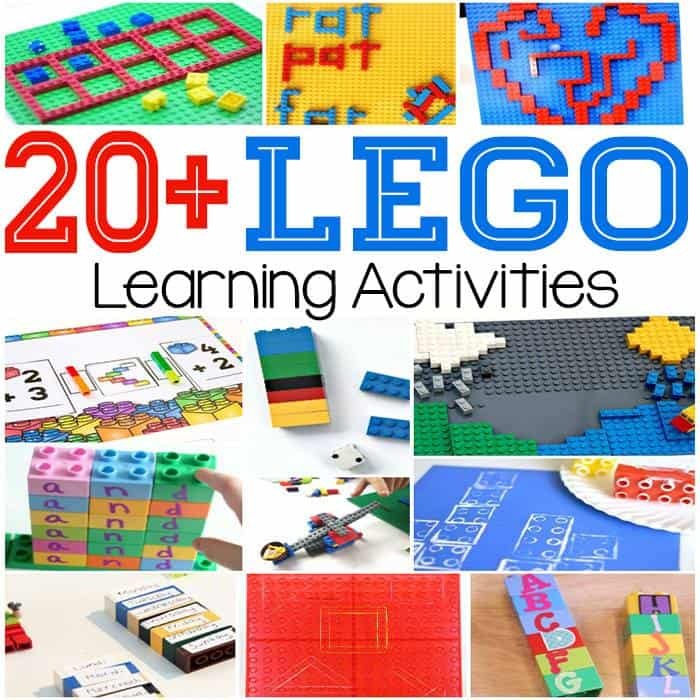 My kids love to build with their Duplos as well as their building block but unfortnately, our activity didn’t work that well with the building blocks. Okay, you now have everything you need for this fun filled game so lets learn how to play. Decide on what blends you wish to work on. We chose a few from her reading curriculum LOE Foundations A and used our arctic blends worksheets. Write 1 letter on each duplo and place them on the table. Tell your student the rules: They will have to create a blend by putting 2 Duplos together and they have 1 minute to see how many they can create. The Arctic Worksheets (or blends list that you have created) will be their guide. Set your timer and watch your student figure out each blend. Once the time is up, ask them to read aloud each blend they have created. Love that you have turned this into a game! What a great use of the bricks and so easy to set up. Great way to learn blends! P.s are you enjoying Foundations?